From a bag of flour and some eggs to a pot of boiling water to the dinner table – simple as that. 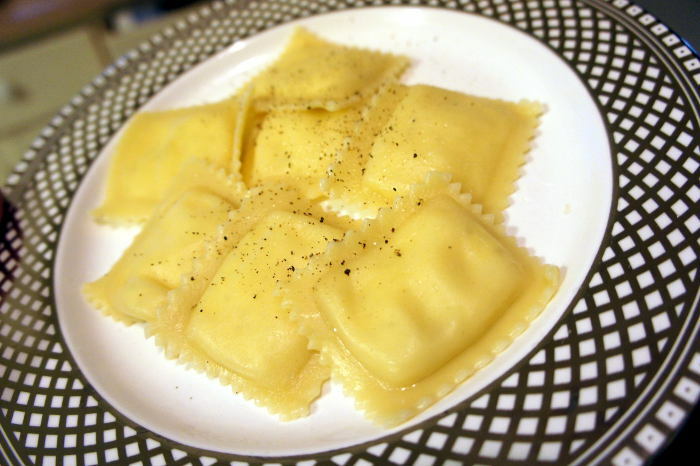 No need to break out the pasta maker you swiped from your parents kitchen to get fresh ravioli. 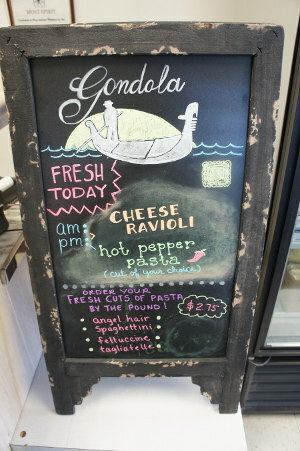 Just take a drive down Niagara Street and stop into Gondola Macaroni. 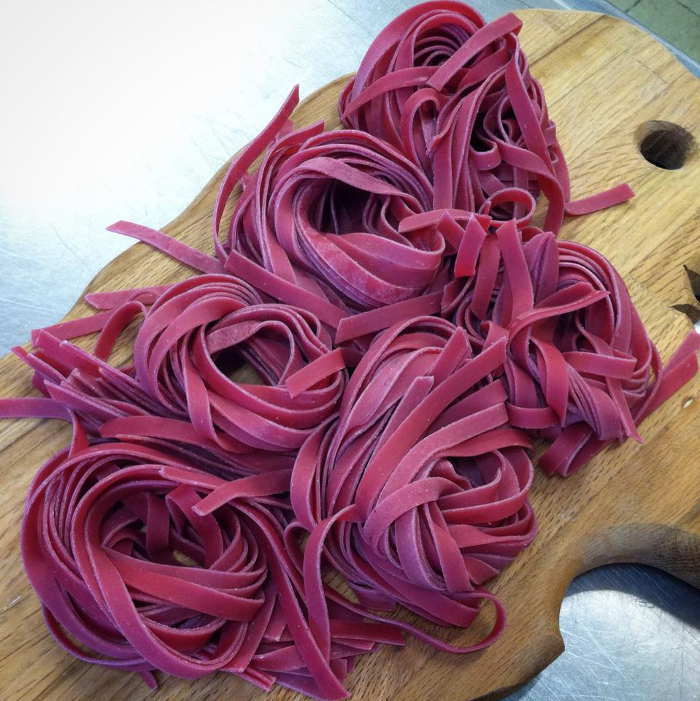 Gondola (our new favorite place to shop – we have not and will never give up carbs) is Buffalo’s own locally owned and operated fresh pasta shop at the corner of Niagara and Austin streets in Black Rock. 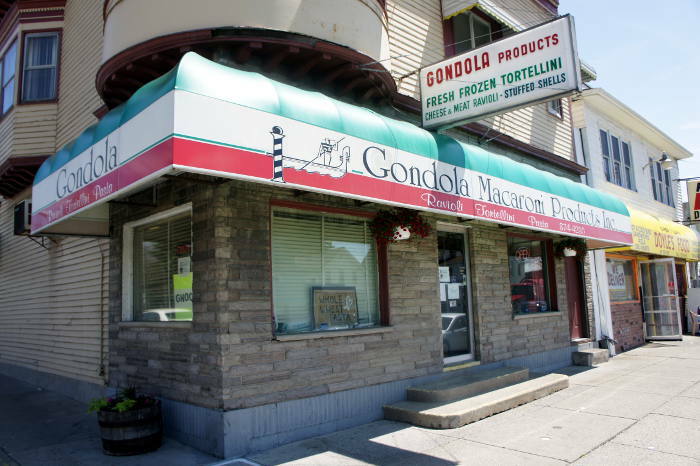 Since their beginnings in a family home on the West Side and then later at 1985 Niagara Street, Gondola has been a neighborhood staple for fresh pasta products. For those of you that had no idea, we feel your pain. 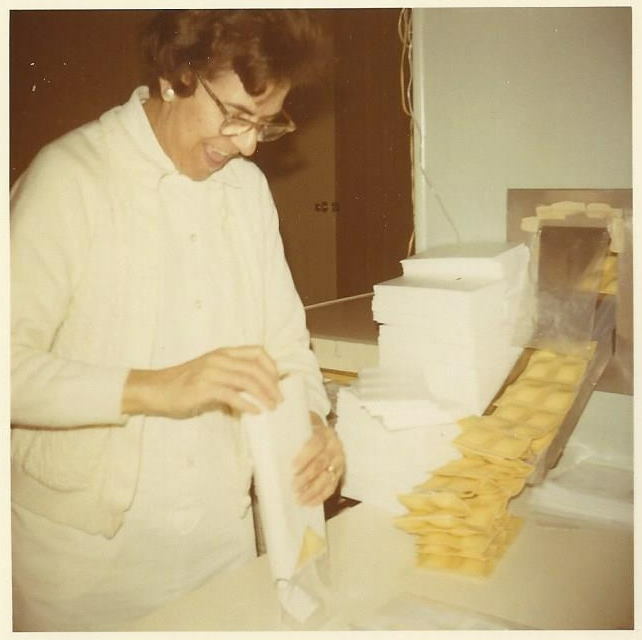 With the help of her husband John, mom Sharon and team, owner Wendy Colla-Bianco is the third generation to carry on the tradition of pasta making at Gondola Macaroni Products. 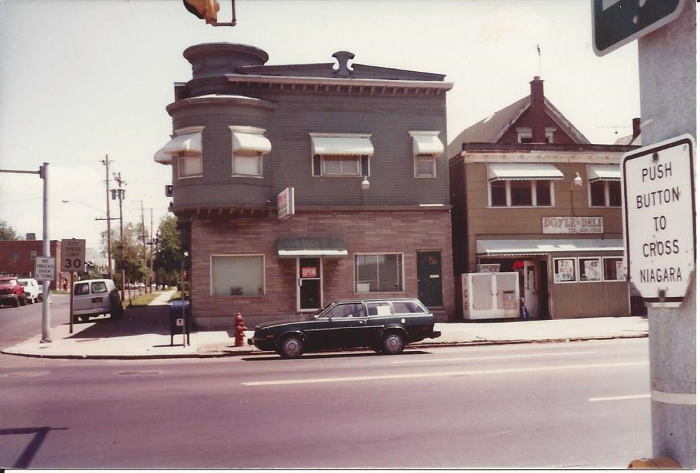 Her grandparents Guido and Maria Colla started the business in 1958. 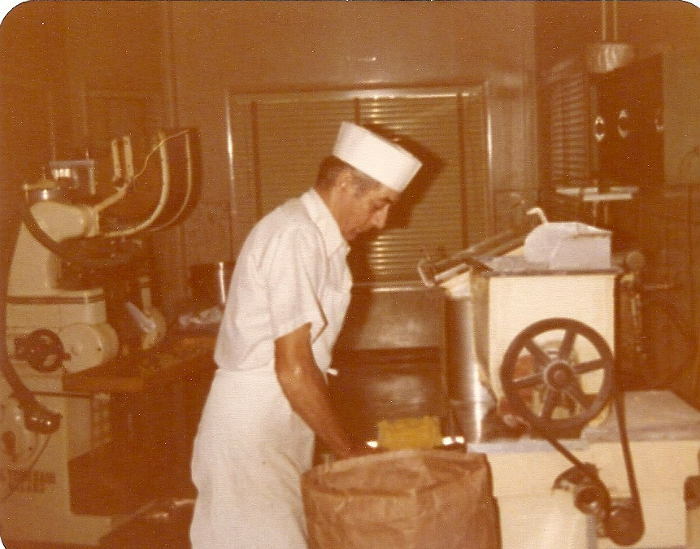 Since then some things have evolved, but the foundation of the authentic (and I mean authentic) Italian business has stayed the same, right down to the pasta making process. Wendy’s grandfather, “a mechanical genius of sorts,” fabricated his own mechanism for the art. 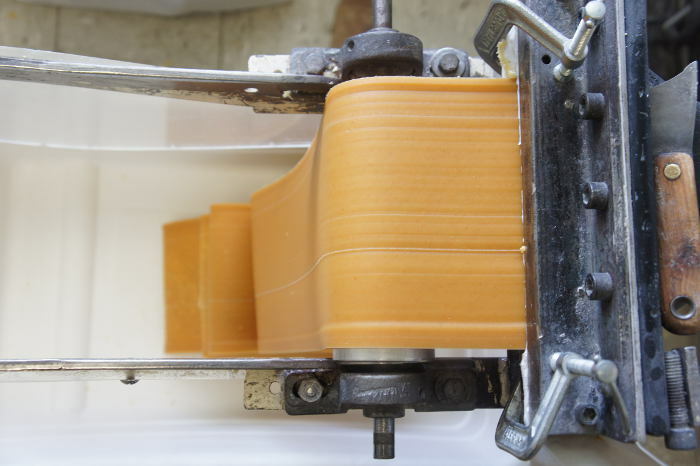 The pasta “extruder” turns messy pounds of dough into tidy sheets of pasta perfection before it’s turned into spaghetti, ravioli, tortellini and the like. 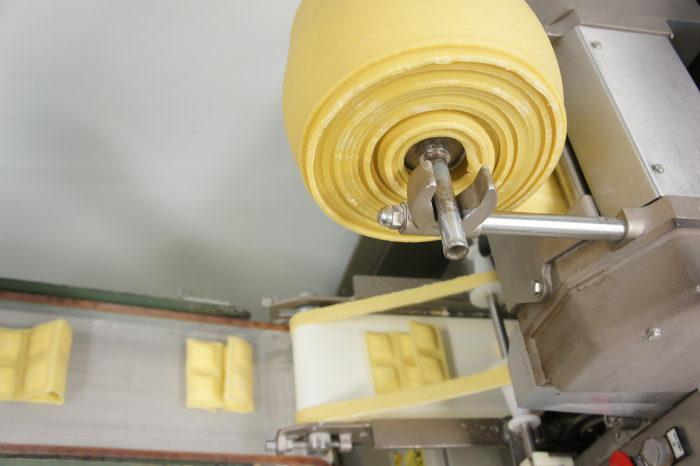 You’ll find everything from gnocchi, tortellini, and stuffed shells to spaghetti, fettuccine, tagliatelle and homemade sauce, all of which is made in the cozy factory on Niagara. 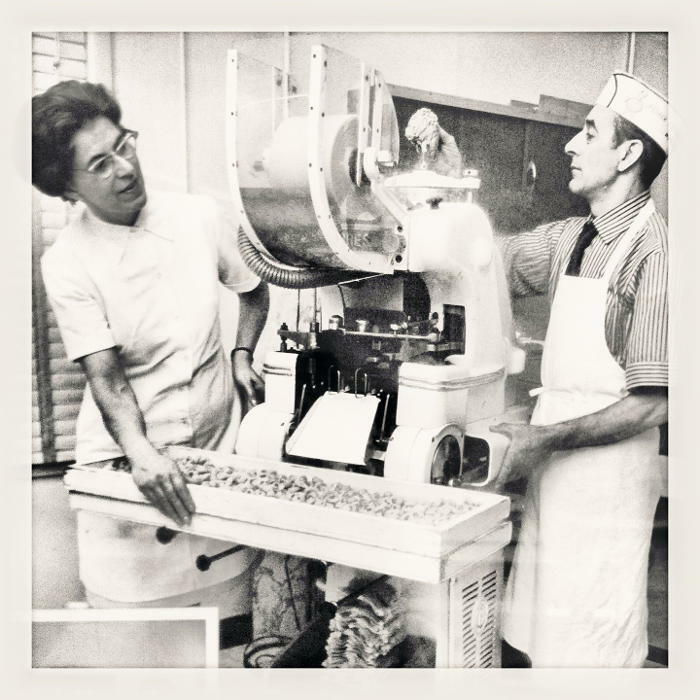 Wendy’s grandparents started out making stuffed pastas like ravioli and tortellini, and then eventually expanded their operation to include pastas they could make with the scraps from the originals. 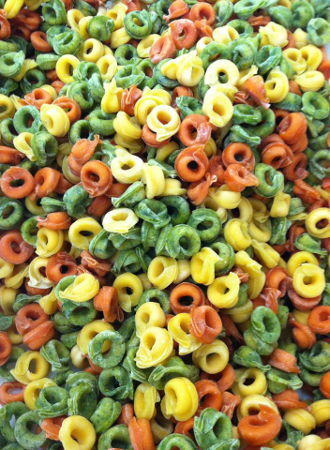 Since taking over the family business Wendy has used the same resourceful creativity to continuously up their pasta game. 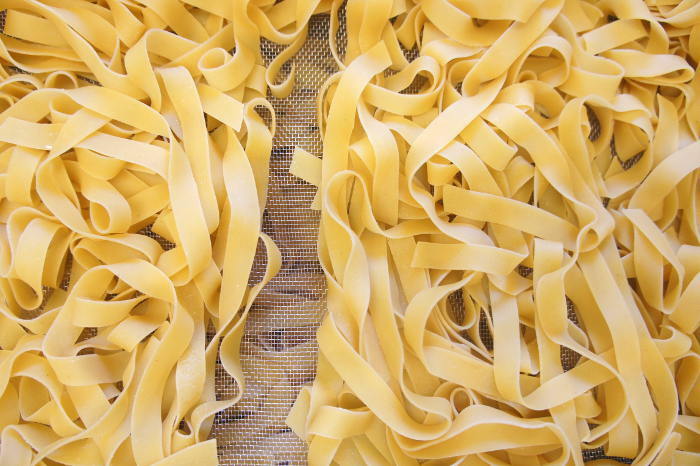 Gone are the days of only magnificent fresh pasta and traditional ravioli. She’s taken things to the next level with flavors like hot pepper, squid ink, basil, beet root and carrot pasta and lobster ravioli. And the results are the stuff of your pasta dreams. 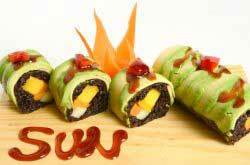 Both the traditional favorites and new innovations are reason to visit. Their house recipe for cheese ravioli stands out from most thanks to the mint – used here as well as in homes all over Italia. 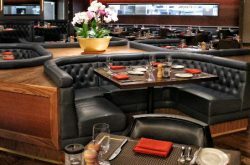 The meat ravioli is filled with ground top-round mixed with cheese and seasoning and stuffed into pillows of fresh dough. It’s unlike anything I’ve tasted before. Forget splitting a dozen, get one pack for yourself – or two. The sauce is sweet and perfectly compliments the ravioli insides. Here’s a tip from the Colla-Bianco family – in the fall, try the seasonal Butternut Squash ravioli with a pad of butter and a sprinkle of brown sugar. It just doesn’t get any better than that. 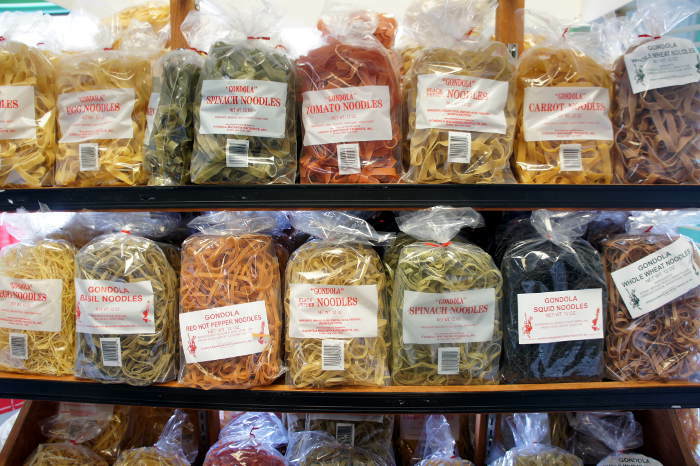 The small storefront offers dried pasta, sauce and frozen products Monday through Saturday, no dine in here. 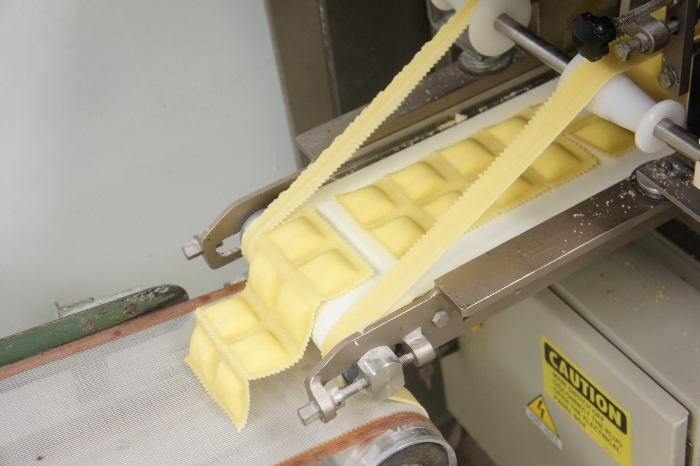 Plus, check in regularly to find out what’s being made fresh that day – Cheese Ravioli and Hot Pepper Pasta the day we visited. 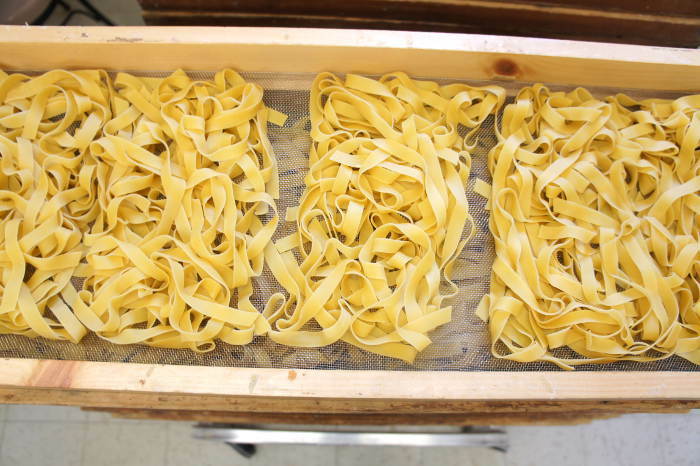 You can also order fresh pasta ahead and schedule it for pickup. 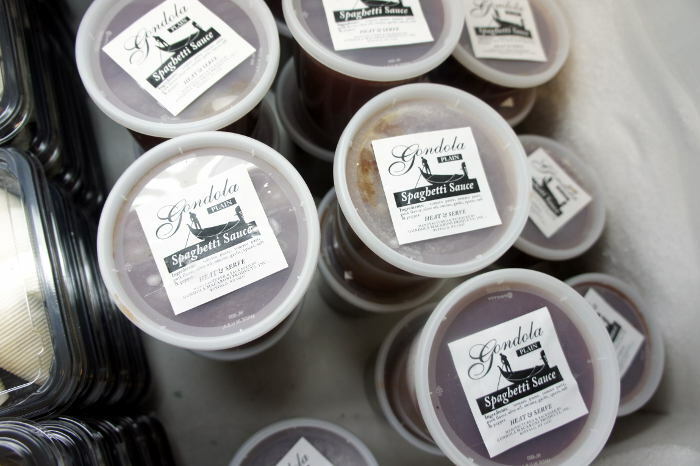 Other local stores that carry Gondola products include Dash’s Market, Lexington Co-op, Federal Meats, Holsher’s Meat, Dicamillo’s, Niagara Produce, Caruso’s Imports, Pelliacano’s and several more. 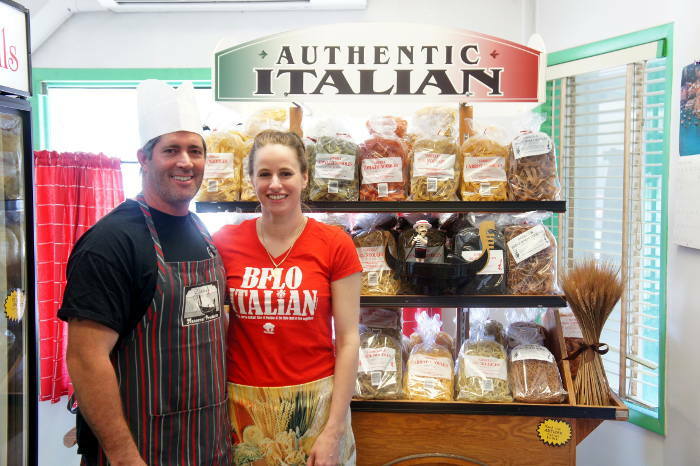 Great product at reasonable prices insures you’ll leave with at least a couple bags full of delicious pasta and the friendly service is enough to put a huge smile on your face. 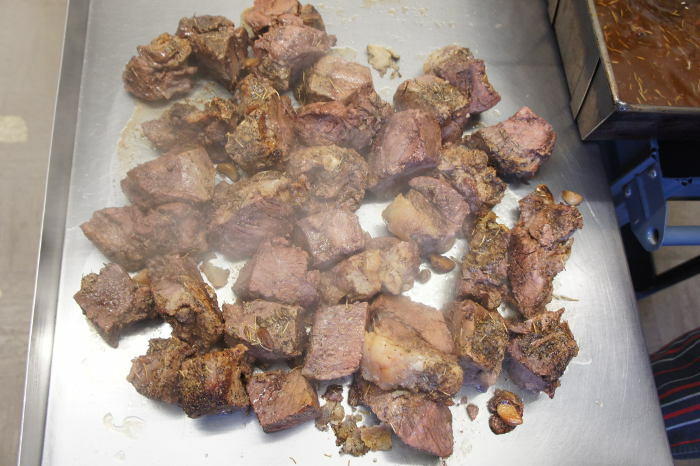 The smile will be replaced with a jaw-dropping, eye-widening expression once you’ve tasted their stuff. The words “customer for life” still echo in my ears. 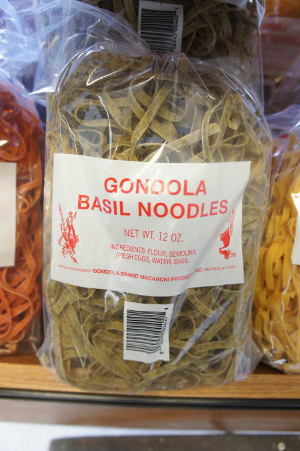 For more info check out gondolamacaroni.com and to follow along with everything happening at the pasta shop follow Gondola Macaroni on Facebook, Twitter and Instagram.